Some of the most respected names in music celebrated the next generation of singers, songwriters, performers, and producers Saturday at Berklee College of Music’s commencement ceremony. 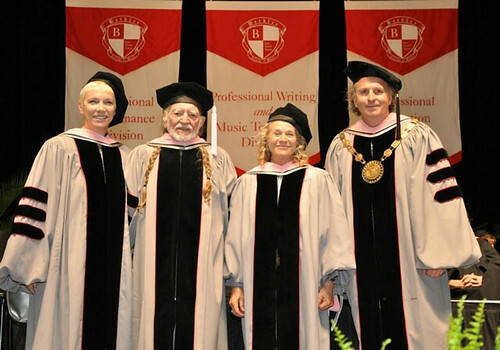 Award-winning musicians Carole King, Willie Nelson, and Annie Lennox joined 6,000 students, friends and family members at Berklee’s commencement ceremony at Agganis Arena Saturday morning to receive honorary doctorates of music. “I didn’t even know that such a thing was possible,” she said, recalling her parents paying for music lessons even when it was hard to make ends meet, her first instruments, and some of her first performances. From The Beatles to The Rolling Stones, from Marvin Gaye to Aretha Franklin, Lennox recalled the musicians of the 1960s and 1970s that inspired her and to the delight of the more than 1,050 graduating students she even belted out lines from songs some of their songs—including on by fellow honoree King. 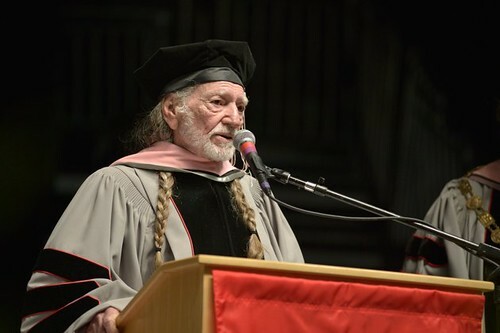 “The history of music has been good, but the future is even better thanks to you folks,” Nelson told the more than 1,050 graduating students—the largest graduating class in school history–after receiving his honorary degree. “So let us go and work and expand that spirit of creative and harmonious community far behind the confines of our small campus,” Brown said. 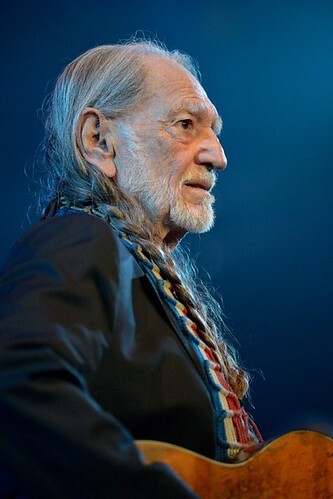 His songs have no doubt healed many hearts over the course of his legendary career, but now it’s official: Willie Nelson is a doctor. 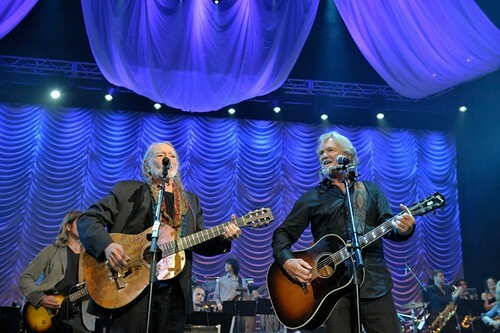 Willie got to know some of the students Friday night (May 10) when he took part in the annual commencement concert, jamming with them on his tune “Night Life” and Hank Williams’ “Jambalaya (On the Bayou),” for which he was joined by good friend Kris Kristofferson. Kris also surprised Willie on Saturday when he donned a cap and gown to help bestow the doctorate honors onstage. It’s a philosophy that has served him well. This entry was posted on Friday, May 11th, 2018 at 11:22 pm and is filed under Awards and Honors. You can follow any responses to this entry through the RSS 2.0 feed. You can leave a response, or trackback from your own site.